March Madness — aka the moniker given to the National Collegiate Athletic Association’s 64 team tournament — is kind of a big deal in the sports world. In fact, I'd go as far to say that, come March, it's a lifestyle. Die-hard fans of college basketball know that the NCAA tournaments are an American tradition. A chaotic and at times crazy tradition (hence, the "Madness"), but a tradition nonetheless. But, besides March Madness being a lifestyle, there are other things fans of March Madness know to be true, things that others (non-fans) just wouldn't understand. The NCAA basketball tournaments happen to be somewhat of a cultural event — sparking a frenzy in each supporter every time March rolls around, yes. 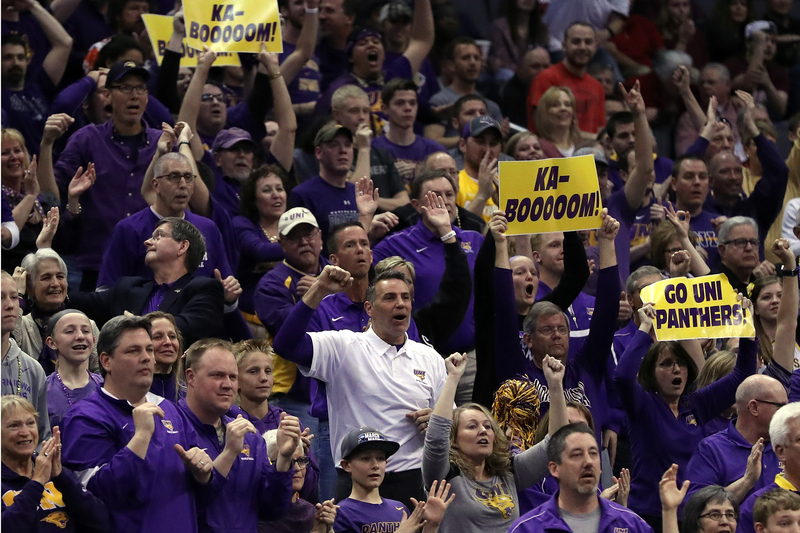 However, even if you're not a basketball aficionado, there's a chance you know someone who takes solace in these games, and hey — what better way to partake in the phenomenon than to get insight into what these fans are thinking right now. That's where I come into play. Pun fully intended. No one appreciates the following 11 things quite like a March Madness fan, and, since the tournament kicked off on March 15 and we're in full madness swing, it's about time we talk about them. Even — and perhaps mostly — when they aren't on. It's been a year since you've sat down with your college buddies or high school friends. March Madness just happens to be the thing that brings you all together. Since the peers you choose to spend March with understand the insanity, it's OK/socially acceptable to make every hang out session about basketball. Your projection of who will win this year is the most significant thing you possess right now. Can you believe that a number 15 seed took a number 3 seed? SEEDS! At school, work, in the shower... Seriously. Whenever and wherever you can. Sorry, Grandma. Can't make it to your annual "Knit For Charity" BBQ. I'll just send cash. Nothing amps you up like an amped up basketball player. Because they upset your bracket, and your bracket is more important to you than food/anything at this point (see #3). But if you're being honest with yourself, an underdog story is always a compelling one to watch. You knew it! You tell yourself (everyone) that you totally knew who the winners were going to be, and that, in fact, you predicted them from the beginning. Note to self: you should really thing about writing these "predictions" down next year.